We have featured quite a few different homemade USB drives here at Geeky Gadgets, as well as some cool steampunk ones, the latest is this fun Waterproof Steampunk USB Drive. 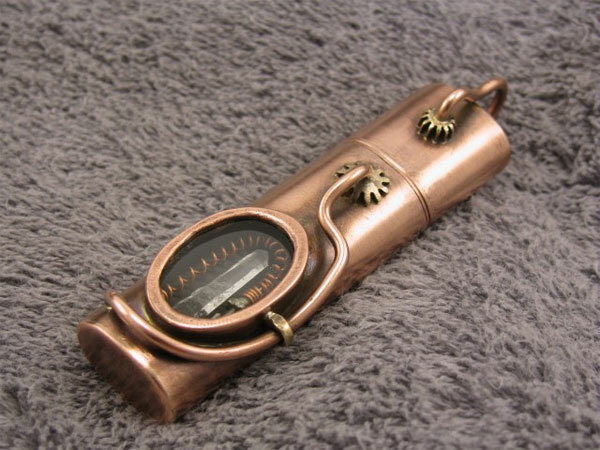 The Waterproof Steampunk USB Drive comes with 8GB of storage and it has been constructed by hand using a range of materials which include brass, copper, glass and a genuine quartz crystal. 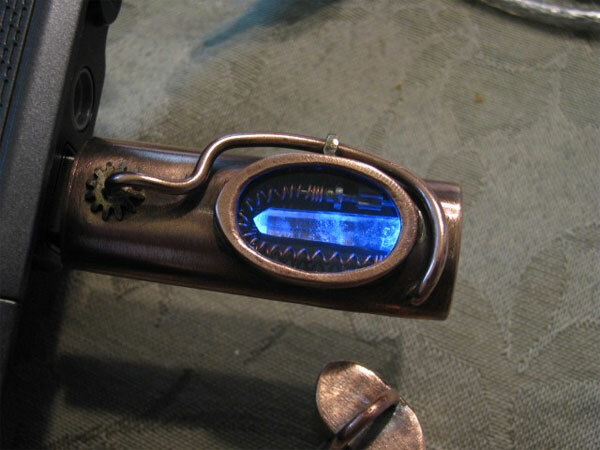 As you can see from the photographs, the Waterproof Steampunk USB Drive features a large glass window so you can see what is going on inside, and it also lights up when you plug it into your computer. 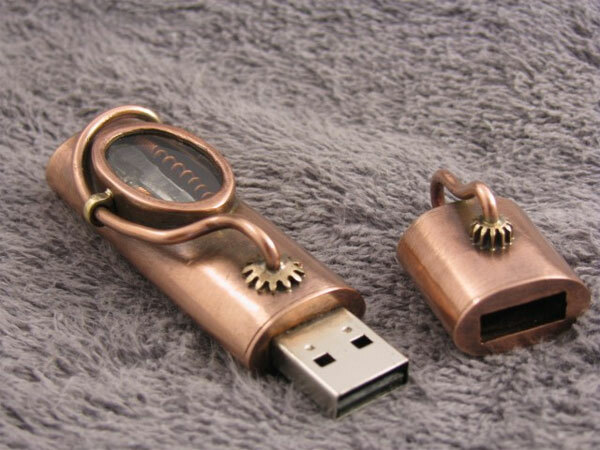 If you want one, the Waterproof Steampunk USB Drive is available for $125 from the Steampunk Workshop.